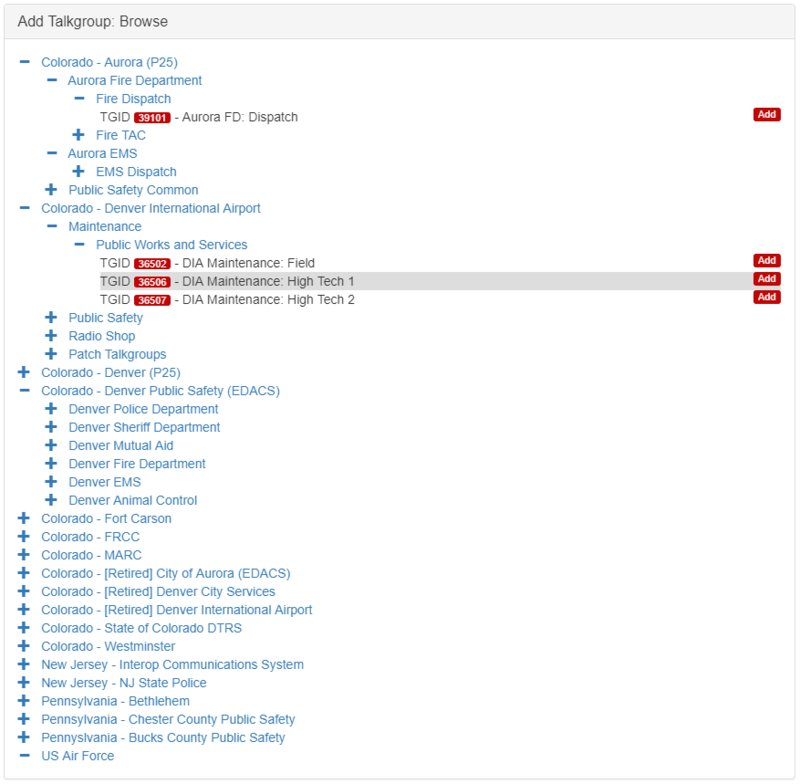 [The talk focuses] on my experience implementing several open source software packages to create an online RTLSDR-based trunking scanner website, https://ocradio.live/ that serves the part of New Jersey that I live in. 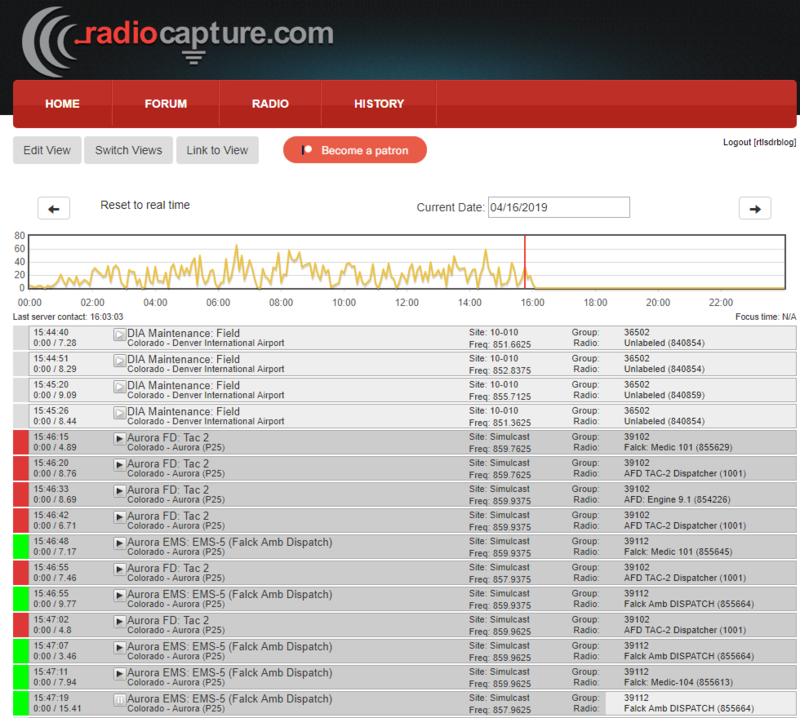 Using multiple RTLSDR receiving locations, the site is demodulating, recording, and timeshifting multiple talkgroups of local and state trunked radio systems to create a live streaming service and archive of past scanner calls. Data from the site is also accessible over a REST API and we allow the creation of custom scan lists. My presentation is going to center on the advantages the site has over traditional hardware scanners and some of the technical challenges that we had to overcome to get the project off the ground. Most police departments is the USA have now upgraded or are in the process of upgrading their radio systems to P25 Phase 2 digital radio. The frequencies can easily be received with an RTL-SDR, but a decoder is required to be able to actually listen to the voice. Software like SDRTrunk and DSDPlus can decode P25 Phase 1, but at the moment the only software that is capable of decoding P25 Phase 1 AND 2 is a program called OP25. However, OP25 has a reputation of being fairly difficult to set up as it does not have a simple to use GUI, and requires Linux. Over on John's Tech Blog, John has uploaded a very helpful step by step tutorial that should help with those trying to get OP25 to work. The tutorial assumes that you have Ubuntu 18.04 already installed, and then starts from downloading and installing OP25. The next steps involve setting up OP25 for the particular system in your area, which mostly involves just editing a spreadsheet to input frequency data from radioreference.com. John also mentions that he's been able to get OP25 running perfectly on a Raspberry Pi 3 B+ as well, with less than 40% CPU usage. In the video below John reviews some of the steps, and shows OP25 running and decoding voice. Over on his blog John Hagensieker has uploaded a tutorial that shows how to set up SDRTrunk with RTL-SDR dongles. 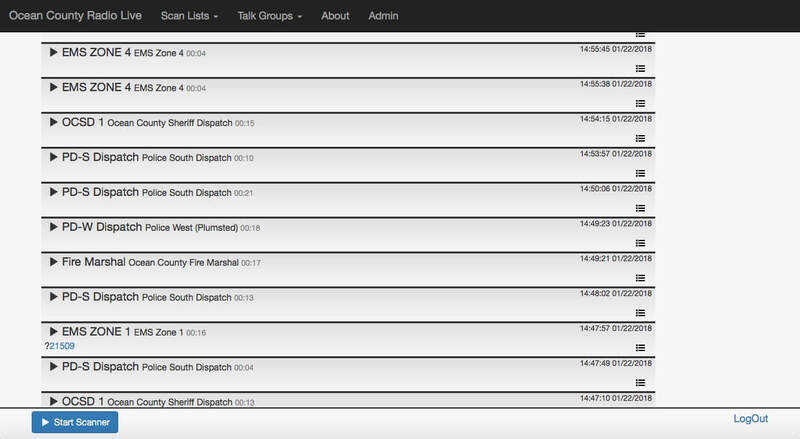 SDRTrunk is an application that allows you to follow trunked radio conversations, and decode some digital voice protocols such as P25 Phase 1. It is similar to Unitrunker and DSDPlus combined into one program. It is also Java based so it is cross platform and so can be used on Linux and MacOS systems as well. John’s tutorial contains many useful screenshots, so it should be great for a beginner. 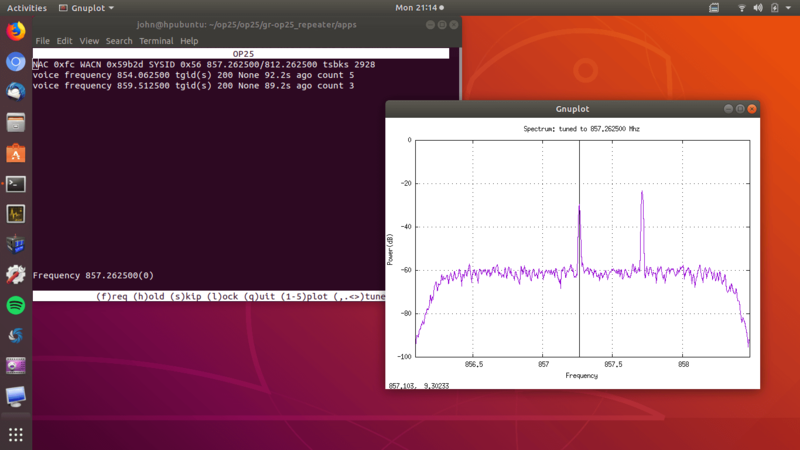 He starts from the beginning, with finding trunking frequencies over on radioreference.com, then goes on to the installation and use on Linux. 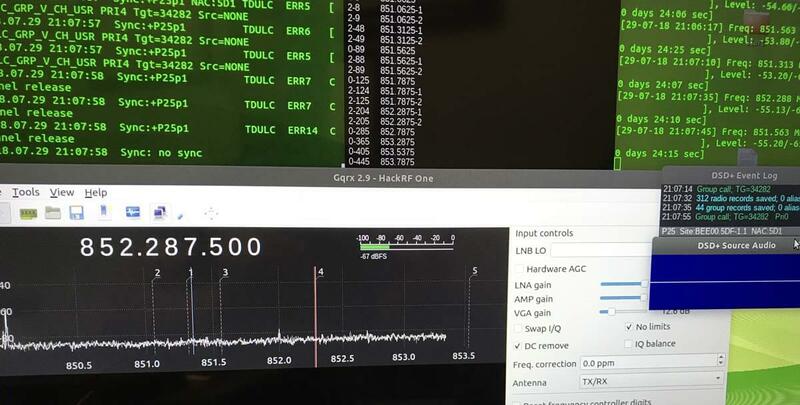 He also later explains how the Airspy can be used instead of multiple RTL-SDR to cover 10 MHz of bandwidth so that multiple systems can be monitored. 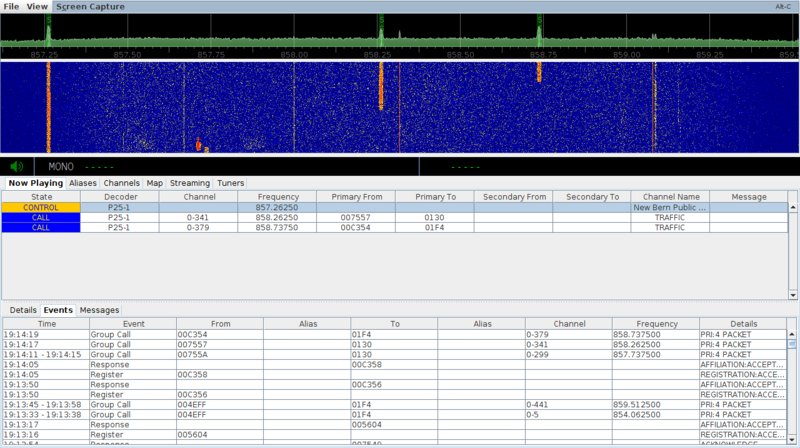 SDRTrunk is a cross platform Java based piece of software that can be used for following trunked radio conversations. In addition to trunk tracking it also has a built in P25 Phase 1 decoder. Compared to Unitrunker SDRTrunk is an all-in-one package, and currently it supports most trunking system control channels, but unlike Unitrunker it still misses out on some systems EDACS and DMR. Over on his YouTube channel AVT Marketing has uploaded an excellent 6-part video series that shows how to install SDRTrunk and the Java runtime environment on Ubuntu Linux. The sections covered include, installing Java, setting the Java environment variables, installing other SDRTrunk prerequisites such as Apache Ant and the JMBE audio codec for decoding P25, and finally actually using and setting up SDRTrunk. Like all of AVT’s other videos, this is an excellent tutorial that takes you through the entire process from the very beginning so is useful for beginners as well. If you’re new to trunking: Trunking systems are typically used with handheld radio systems (e.g. those that police, security guards, workmen etc carry around). The basic idea is that each radio constantly listens to a digital control channel which tells it what frequency to switch to if a call is being made. This allows the frequency spectrum to be shared, instead of designating one fixed frequency per user which would be very inefficient. But this system makes it difficult for scanner radios to listen in to, because the voice frequency could change at any time. Therefore software like Unitrunker and SDRTrunk which can decode the control channel is required. In addition many new systems use digital audio like P25 or DMR which requires digital decoders like SDRTrunk or DSDPlus.